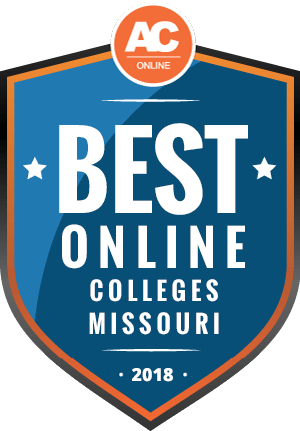 Why Choose Missouri for Online Higher Education? Every state has something to offer online students, especially those that are home to fewer schools and fewer people. These states, like Missouri, have expanded their online offerings in recent years to tempt students from other states to study there. This guide will help you figure out if Missouri offers the right online program for your needs. We’ve included helpful information such as frequently asked questions, examples of scholarships, and a ranking of the most affordable online colleges in Missouri. Missouri offers lower than average tuition and has a growing number of online programs. Taking online courses from Missouri schools can help you finish your degree and advance your career while spending less than in other states. In-state tuition in Missouri is cheaper than out-of-state tuition by about half. In-state tuition is cheaper because residents pay taxes that support public colleges and universities. Establishing residency in the state requires you to live there for 12 consecutive months and earn at least $2,000 of taxable income from a Missouri employer to whom you are not related. While Missouri’s in-state tuition is only slightly lower than the national average, out-of-state tuition is significantly lower than the average. Online programs tend to fall between in-state and out-of-state tuition rates. These rates are often closer to in-state rates, making studying online cheaper than moving to another state to study. Taking online classes while establishing residency can also save you money. Missouri is worth considering for out-of-state tuition, whether studying online or on-campus. Online tuition rates in Missouri are similar to those in other states, but out-of-state tuition is noticeably cheaper than the national average. Be sure to compare individual schools since tuition varies. Missouri is part of the Midwestern Higher Education Compact and it participates in the Midwest Student Exchange Program (MSEP). MSEP allows students from one state in the program to attend certain colleges in other participating states at a discounted rate. There are over 100 schools in the 10 states that participate in MSEP, and it is worth considering these schools if you will be moving to Missouri to study, as this program can save you money. You will find lists of participating schools and states on the MSEP page. States have their own guidelines for higher education, which can make online education across state lines tricky. However, there are agreements between states to simplify matters. The National Council for State Authorization Reciprocity Agreements (NC-SARA) works to promote and streamline such agreements to make online education easier on students and offers information on which schools can grant online degrees in what states. Below you will find a ranking of the best and most affordable online colleges in Missouri. These schools have been ranked based on metrics such as cost of tuition, graduation rates, and the number of online programs being offered. The data used comes from the United States Department of Education’s Integrated Postsecondary Education Data System (IPEDS), which tracks over 7,500 colleges in the country. The section below contains frequently asked questions about online schools in Missouri. Use these to get started researching the school that meets your needs. Do online credits cost more or less in Missouri? Missouri tuition rates are lower than the national average, for both in-state and out-of-state students. Online tuition rates tend to be around the same price as in-state tuition, though this varies by school. Missouri’s in-state tuition is lower than the national average. Online rates are likely to be, on average, cheaper than the national average, too. While you will save money by studying at an online college in Missouri, it may not be much cheaper than anywhere else. Which Missouri schools accept the most transfer credits? Every school sets its own standards for transfer credits, including what courses can be transferred and how many credits from another school can be applied. Generally speaking, public colleges and universities do not allow more than half of all credits to be transferred, which is 60 for a bachelor’s degree. Most allow less, typically up to a quarter of the credits needed to graduate. Private schools, especially those which focus heavily on online education or on technical or vocational courses, may allow more. Some colleges limit the institutions from which you can transfer credits, though this is less common with online programs. If you have credits from another college or university, it is worth your time to investigate transfer policies. You can generally find transfer policies on schools’ websites, but you may need to contact admissions to get more information. Transferring credits from a previous institution can help you save money and time by reducing the number of credits you need to complete your degree. Beginning your studies at a community college and transferring to a four-year university to complete your degree is a common money-saving trick. Will any online colleges in Missouri accept a GED? Except for some private schools, most online universities in Missouri accept a GED in lieu of a high school diploma. The federal government considers the two to be equivalent, but schools may require minimum GED scores. One way around the issue is to attend a community college first, and then transfer to a university after completing an associate degree. When applying to a university with college transcripts, your high school grades or GED will become significantly less important, as college transcripts tell admissions officers more about your ability to succeed at a university. How many academic terms per year do online colleges in Missouri offer? Many online programs, and nearly all on-campus programs, adhere to one of the three common structures for the academic year. These are the semester, trimester, and quarter models. Online programs may have multiple or variable start dates. Technical programs tend to be shorter and have more start dates, while accelerated programs condense courses into shorter periods, often around eight weeks in length. You are more likely to find these alternate schedules at schools focused on distance education or ones that offer technical programs. Which online colleges in Missouri will accept the FAFSA? The Free Application for Federal Student Aid (FAFSA) allows you to receive grants and student loans from the government and work-study offers from your college. The FAFSA also informs organizations of your financial situation when they are considering you for a scholarship. Many schools require you to submit a FAFSA whether you are looking for aid or not, since having access to that information can help streamline the application process. As to the funds you can receive from submitting a FAFSA, any school will accept them. In fact, if you are paying for your education with scholarships, financial aid, and grants, it makes the college’s job easier, since the money is sent directly to them. Are there any free online classes I can take from Missouri colleges? Free online courses are growing in popularity, but they have limitations. Some universities have begun offering free video lectures online, but they do not count for credit and cannot take the place of courses you need to complete your degree. Some colleges and universities offer free courses to members of the community as a form of social outreach or continuing education. Many public schools have programs that allow senior citizens or people from underserved communities to attend classes for free or for very reduced rates, but they rarely provide credits. There are plenty of free educational resources online, which may be relevant to your field of study and can help you develop a better understanding of the material. How can I find the online program options at Missouri colleges? Online programs in Missouri can be found on college and university websites. If you’re just starting to look, you can start with the rankings of the most affordable online colleges in Missouri offered in this guide. Most colleges will make it easy to find their online courses, usually with a link on their homepage or in the navigation bar. Some colleges maintain entire websites for their online programs, essentially treating distance education as a school with the larger institution. Paying for college can be difficult, but there are many ways to help reduce that burden. We’ve listed five scholarships below which are available to students studying in Missouri to help you get started in your search for funding. This scholarship is for Missouri residents who are enrolled full-time and earning their first degree. Applicants must prove financial need through FAFSA. The scholarship can be renewed for up to 10 semesters at a four-year university or up to five semesters at a two-year college. Renewal requires continued full-time enrollment and an average GPA of 2.5 or higher. This grant is designed to encourage students to enroll in advanced placement courses during high school. It is for Missouri residents who passed at least two advanced placement exams with a three or better while attending a high school in the state. They also must have received an award under the Access Missouri Student Financial Assistance Program or the A+ Scholarship Program. This is a merit-based scholarship for high performing high school students in the state. Missouri residents who are in the top 5% of ACT or SAT scores are eligible for this scholarship, which can only be used to attend specified colleges in the state. The scholarship can be renewed. This scholarship is for Missouri residents aged 17-22 who are the children of a parent who was killed or seriously injured in the workplace. Applicants must be enrolled at least half-time at a Missouri college or university. The scholarship can be renewed by maintaining a 2.5 GPA. This scholarship is for Missouri residents who are 18 or older, employed while attending at least half-time, and can demonstrate financial need. You cannot qualify for this scholarship if you are part of a work-study program. This scholarship can be renewed.